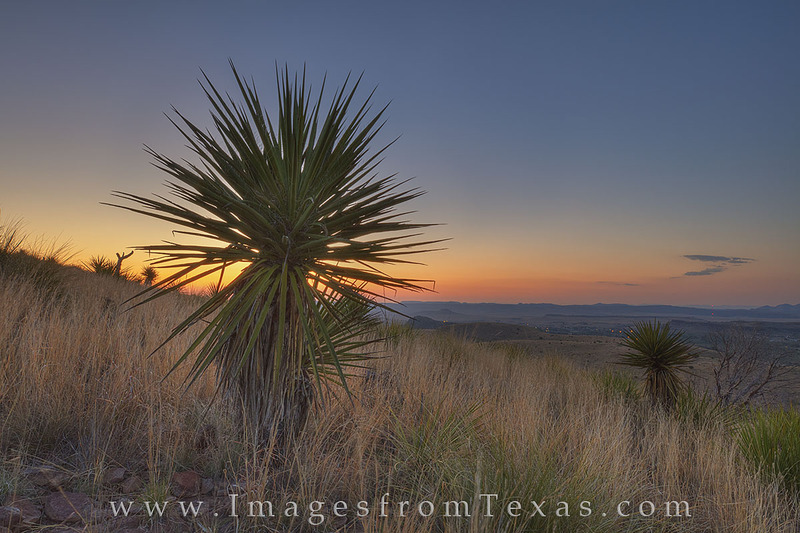 The first glow of sunrise begins to add warmth to the Davis Mountains and this rugged Texas landscape. In the distance, the lights of Fort Davis can be seen on this very early summer morning. Photo © copyright by Rob Greebon.